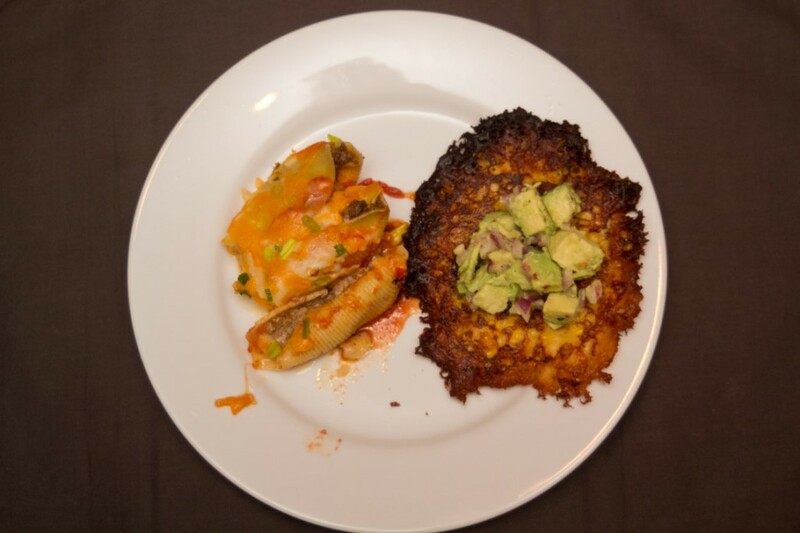 These Mexican Corn Cakes served with a Spicy Avocado Salad are a fried treat that everyone will enjoy. Make them small as an appetizer, or large and use them as a side. Or you can make a whole meal out of them and top them with all sorts of meats. 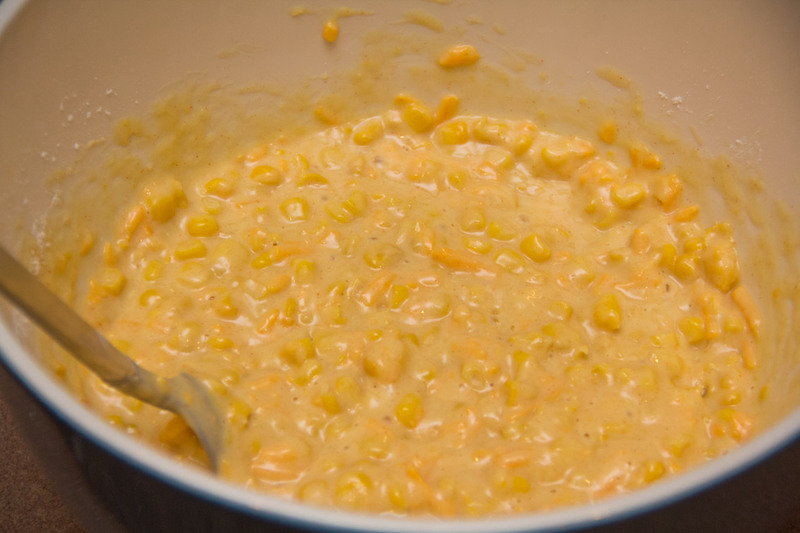 In a large bowl mix together the corn, creamed corn, eggs, cheese, jalapeño, salt, and seasonings. Add in the flour and baking powder as you stir. Pour in a little milk at a time and stir until the batter is as thick as pancake batter (falls of the spoon easily without being watery). 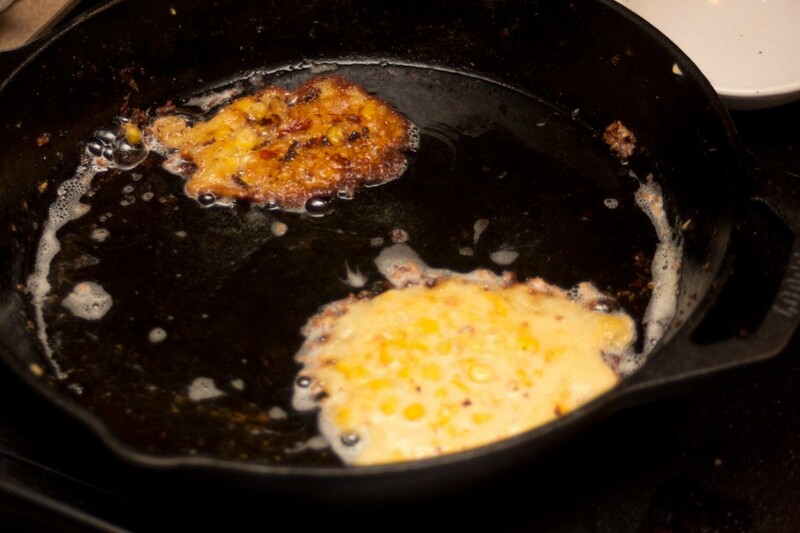 Put some oil in a frying pan over medium-ish heat and fry cakes a few at a time flipping them over to cook on the other side when bubbles start to form on the top. 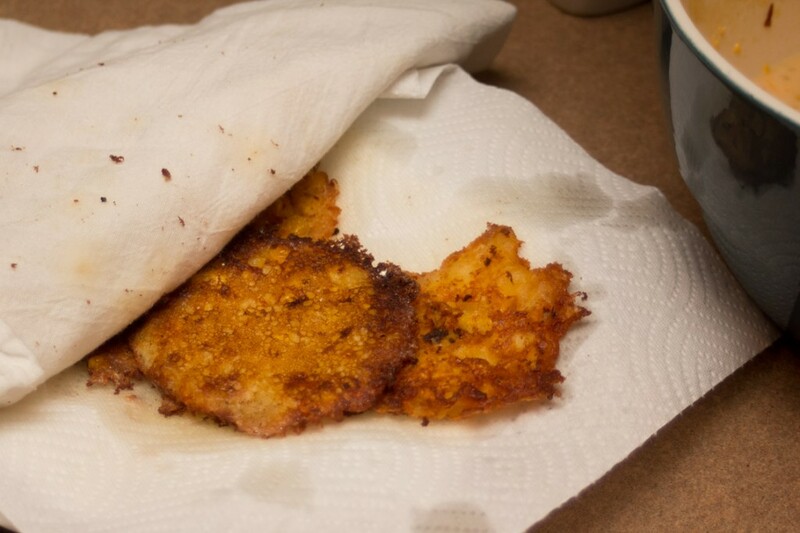 Pull cakes out of the pan and put them on a plate with a few paper towels to help catch the excess oil. 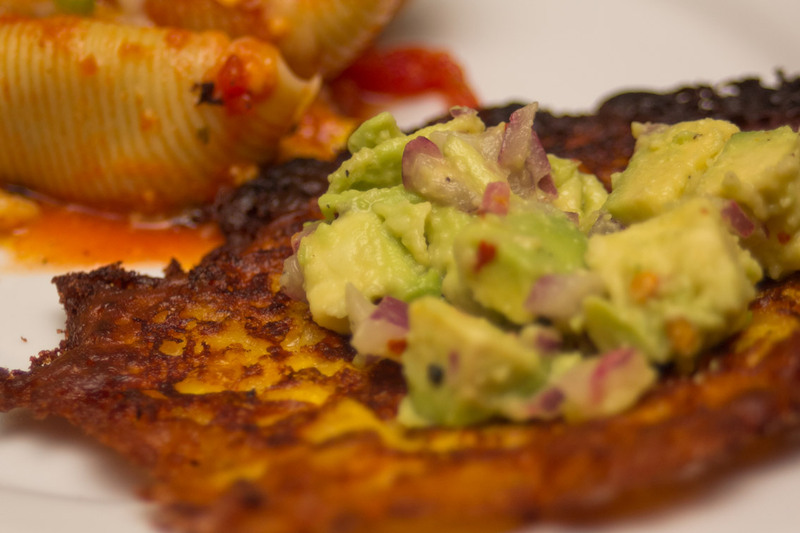 These are best served with a spicy avocado salad: mix together 2 avocados (chopped), with 1/3 of a red onion (minced), a few pinches of crushed red pepper, and half a lime (juiced). Cover them with a towel to keep them warm until ready to eat. This is served (in the photo) with Mexican Stuffed Shells.